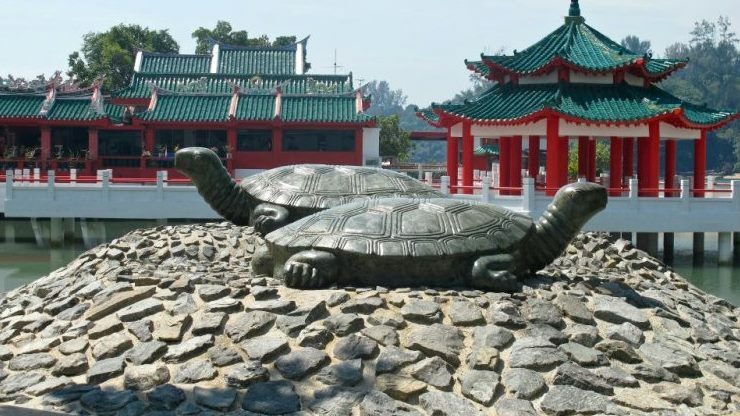 In order to save two shipwrecked sailors; one Chinese and another Malay, a magical giant turtle turned into an island, that’s how Kusu Island came into existence. Well, this is just one of the mythical stories surround this awesome island, which inspires you to take a trip to the island. Just 5.6 kilometres south of Singapore, Kusu Island offers an experience you will be mesmerized with for the rest of your life. 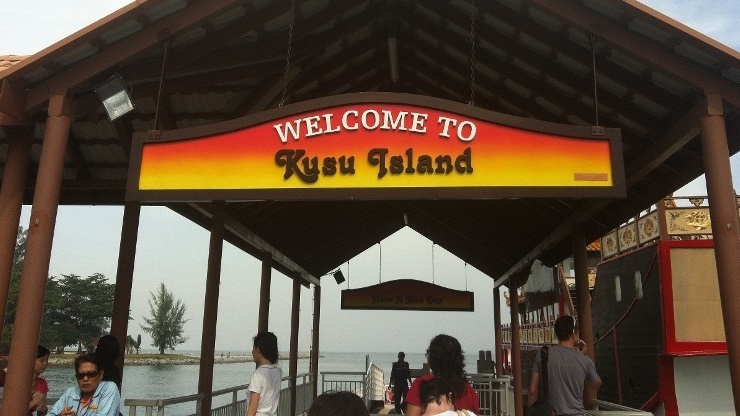 Kusu Island means Tortoise Island in Chinese; however, Malaysians know it as a Pulau Tembakul. The island looked like a turtle. Made up of two ridges on a reef, one ridge the head, and the other (the hilltop) is the back of the turtle. Whether you are a tourist or a local resident, a day long trip to this fascinating natural home of Tortoises will leave you stunned with its blue lagoons, pristine beaches and tranquil settings. If you’re looking for local heritage off the beaten track with a good dash of nature, Kusu Island hits the spot. Kusu, however, has since been reclaimed into an 8.5ha holiday resort. There are now three Malay shrines or “keramats” and a Chinese temple on Kusu Island. The most magnetic site to visit on Kusu island is the Tortoise Sanctuary, which houses hundreds of tortoises. You can see them come and go as they please with no shortage. Neither there is a dearth of picnic spots on the Kusu Island. The island with its two swimming lagoons is also a popular destination for day-trippers to enjoy the sun and sand. Green lush, clean water and lasting beaches give ample opportunities to indulge in traditional games, swimming or a romantic walk. Between September and November, Chinese and Malaysians throng the island to worship at one of the shrines. 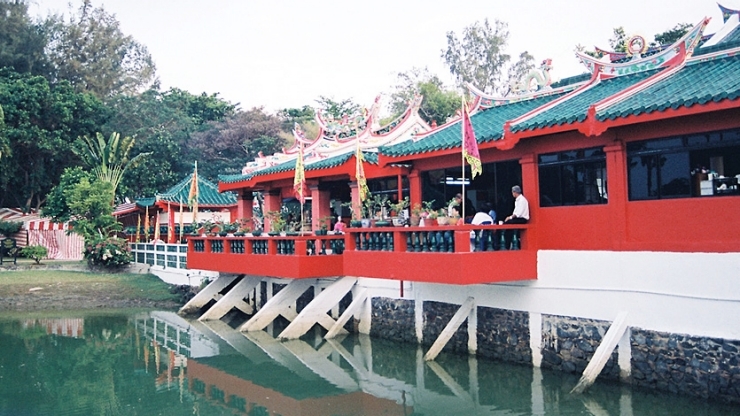 Built in 1923 by a businessman, Da Bo Gong Temple houses two main deities; Da Bo Gong and Guan Yin. The former is widely regarded as having the power to bestow prosperity, cure diseases, calm the sea and avert danger, while Guan Yin is known as the ‘giver of sons’. On top of a rugged hillock stand three holy shrines to Malay Saints, or Kramats. People make the laborious climb up 152 steps to the top of the hill to pray at the shrines of three Malay saints, or ‘keramat’, for wealth, good marriage, good health and harmony. The shrines are also popular with childless couples because of their strong links to fertility. The Kusu island is a perfect escape for those can’t take a weekend trip to nearby foreign destinations. The island is also meant for those wanting to be by themselves, and enjoy peace and relaxation, something which theme parks or adventure parks can’t provide. 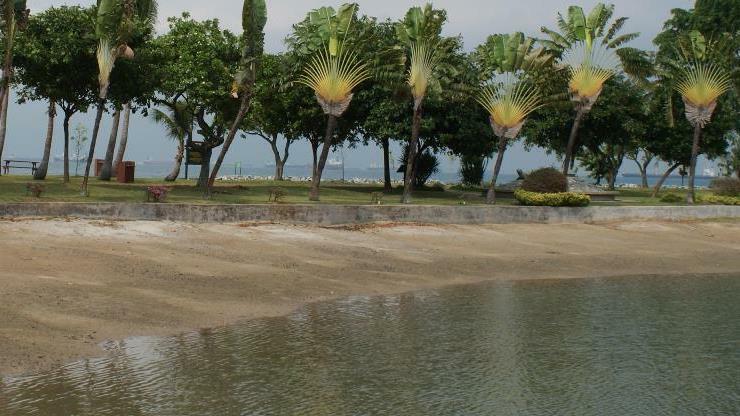 There is a safe swimming beach perfect for young children and plenty of spacious picnic areas for recreation. There are shelters, picnic tables and even barbecue pits on Kusu Island for perfect for a nice day out in the sun. The most stunning part of a day long trip on Kusu island is to witness the marine life without entering into the Underwater World of Singapore. The real time, first-hand experience of marine life will be an experience you would want to share with people again and again. 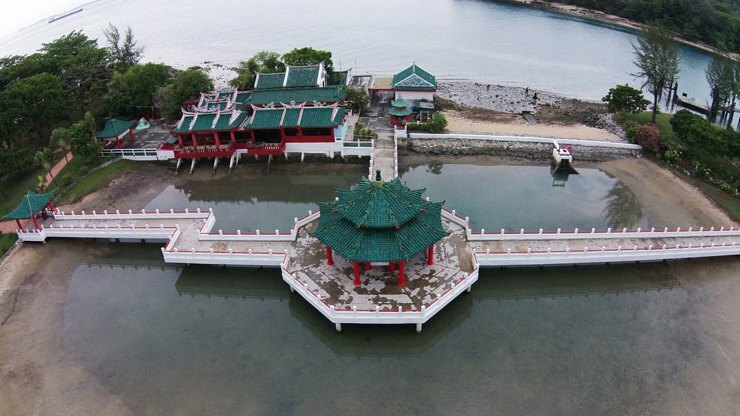 9th month of the Chinese calendar is considered to be the auspicious time to visit the Kusu island for devoting some time in praying at one of the shrines on the Island. But, never forget to take food along with you as Kusu island offers no food outlets of joints to satisfy your taste buds. 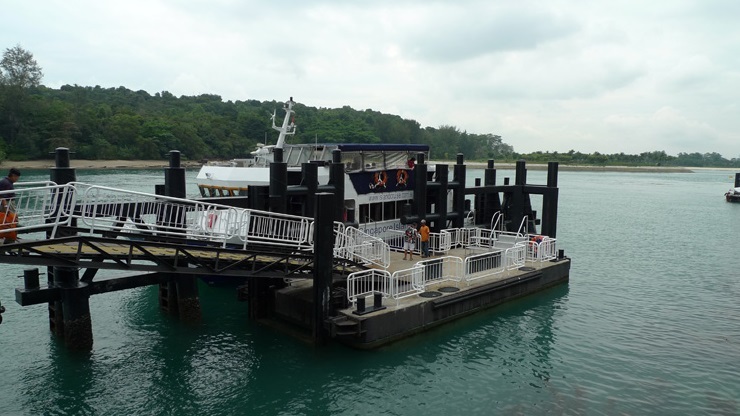 Make sure you pick the last ferry from Kusu Island at 4 PM Singapore time, since night camping is not allowed on the island. To fill your day with incomparable experience of joy and entertainment, Kusu is a perfect destination. Book the ferry now.